You are here: Home / Articles / Articles / Articles by Practice Area / Social Security Disability / Who is Going to Be the Next Social Security Commissioner? Acting Social Security Administration Commissioner Carolyn W. Colvin has been chosen to lead the agency permanently. Last month, President Barack Obama announced his intent to nominate Colvin to the job. Colvin has served as Deputy Commissioner of Social Security for the Social Security Administration (SSA), a position she has held since January 2011. She has also served as the Acting Commissioner of Social Security since February 2013, when Michael J. Astrue stepped down. 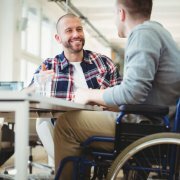 Through the Social Security Disability Insurance (SSDI) and Supplemental Security Income (SSI) programs, millions of Americans will be receiving some type of benefit through the SSA this year. If you have questions about an application for benefits, do not hesitate to contact our Tulsa Social Security disability lawyers for a free consultation.